I am very excited to announce the release of my first album 'Colours of the Heart'. Violinist, Midori Komachi, has recorded her début album; sonatas by Delius, Debussy and Ravel, which has been inspired by her project ‘Delius and Gauguin; a conversation’; a programme of music expressing the exchanges between composers and artists. 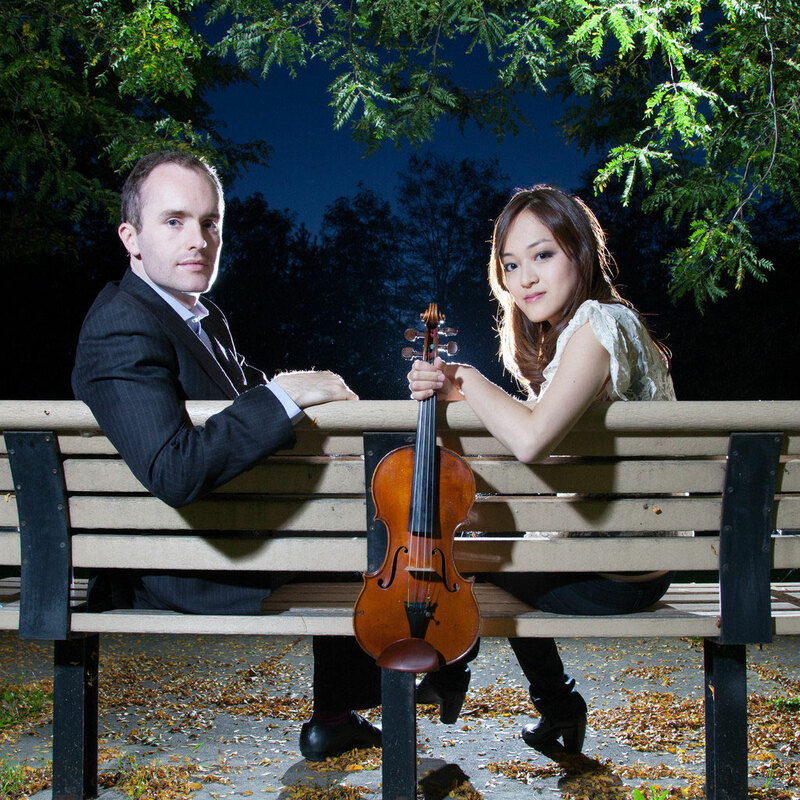 Midori has entitled her recording Colours of the Heart, on which she is joined by pianist and Steinway Artist, Simon Callaghan. The CD is being launched at a recital on Thursday 3rd April 2014 in the Princess Alexandra Hall, Royal Over-Seas League, London, and this will be followed by a promotional concert tour which is to include Delius’s home town of Bradford. The three sonatas for violin and piano – the third Sonata by Delius; Debussy’s in G minor, and Ravel’s in G major – are characterised by their contrasting sense of languid impressionism, complexity of musical language, and extrovert jazz-inspired immediacy. Midori’s sense of freshness and intuitive approach to each of the different technical demands presented in these works offers a wonderfully contrasting programme which any music-lover would want to have in their collection. The context of the album is based on the exchanges between the composer Frederick Delius and painter Paul Gauguin, whomet in Paris in 1894. Centered around them, a circle of artists expanded – composers, painters and writers, including Ravel, Munch, Rodin, Ibsen, Hamsun and Grieg. Grieg’s heart-warming Lieder – songs which were originally part of the series Melodies of the Heart and dedicated to the composer’s wife Nina – are also included in this, a premièrerecording of the transcription for violin and piano by Émile Sauret, and have inspired Midori’s title for the album. The works which are at the heart of the connection between these artists are Delius’s third Sonata and Gauguin’s painting Nevermore; which depicts a naked reclining Tahitian girl and which Delius purchased from Gauguin in 1898. The picture was displayed in the composer’s music room and became his most treasured possession. A prodigy of the Basel Music University in Switzerland, Japanese-born Midori has performed in major venues world-wide, having completed studies at the Royal Academy of Music in London with Maurice Hasson and Tomotada Soh, and winning numerous prizes including the Sir Arthur Bliss Prize. As an active chamber musician and recipient of the Emerging Excellence Award 2012 from the Musicians Benevolent Fund, she has performed alongside renowned artists such as the Kreutzer Quartet, Stephan Picard and Nobuko Imai. Alongside her performing career, Midori has founded various concert projects based on different research topics. In 2012, her Delius Project culminated in a series of concerts in London, Cambridge and Tokyo and featured in the Arts & Collections International Magazine and Nikkei Newspaper in Japan. In January 2013 Midori was awarded the Delius Society Certificate for her performances of the Delius Violin Sonatas. Midori’s concert tour and CD release are supported by Arts Council England, The Delius Trust, The Vaughan Williams Charitable Trust, The Nicholas Boas Charitable Trust, and publicity is being managed by the music consultancy, Archery Promotions. An image of Gauguin’s painting, ‘Nevermore’ with credit is available on request.